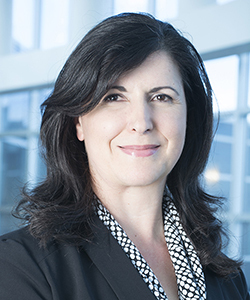 Vassiliki (“Vicky”) Zygouris-Coe is currently a professor of reading education at the University of Central Florida (UCF), where she has taught undergraduate and graduate level literacy courses for a number of years. Her interests are in reading in the content areas, disciplinary literacy, literacy teacher education, professional development, online learning and literacy and technology. She has been conducting professional development in school districts in various states, and has provided leadership in the development of intensive reading programs in secondary schools and professional development for teachers in grades K-12. Her recent book is published by Routledge and is titled, Teaching Discipline-Specific Literacies in Grades 6-12: Preparing Students for College, Career, and Workforce Demands. She has received over $9,000,000 in research and funded literacy projects. Her research has been published in The Reading Teacher, Reading & Writing Quarterly, Journal of Reading Education, Reading Horizons, Childhood Education, Topics in Language Disorders, Early Childhood Education Journal, The International Journal of Qualitative Studies in Education, Focus in the Middle, Journal of Technology and Teacher Education, The International Journal of E-Learning, Florida Educational Leadership Journal, and Florida Reading Quarterly among others. She is also an editorial review board member for the Journal of Literacy Research, Reading Psychology, International Journal for the Scholarship of Teaching & Learning, and the Florida Association of Teacher Educators. She also served as co-editor of the Literacy Research and Instruction journal (2010-2017), associate editor of the Florida Educational Leadership, and former associate editor of the Florida Association of Teacher Educators journals. In addition, Dr. Zygouris-Coe is the developer (Co-PI with Dr. Donna Baumbach, 2002-2004; PI: 2004-2010) of Florida’s first large-scale professional development in reading (Florida Online Reading Professional Development [FOR-PD]) for K-12 teachers that serviced 44,344 educators from 2003-2010 and continues to be offered through the Florida Department of Education (FLDOE) to all certified Florida K-12 teachers. Dr. Zygouris-Coe has been a leader in Florida statewide literacy initiatives and for years has been collaborating with the FLDOE in consulting, reviewing, and participating in core statewide literacy initiatives for K-12 and teacher education sectors. Dr. Zygouris-Coe is also the event organizer of the UCF Literacy Symposium.